Hamiltons presented Irving Penn: Flowers, marking the third occasion on which gallery owner, Tim Jefferies, presented an entire series of photographs printed by the legendary photographer as an edition. 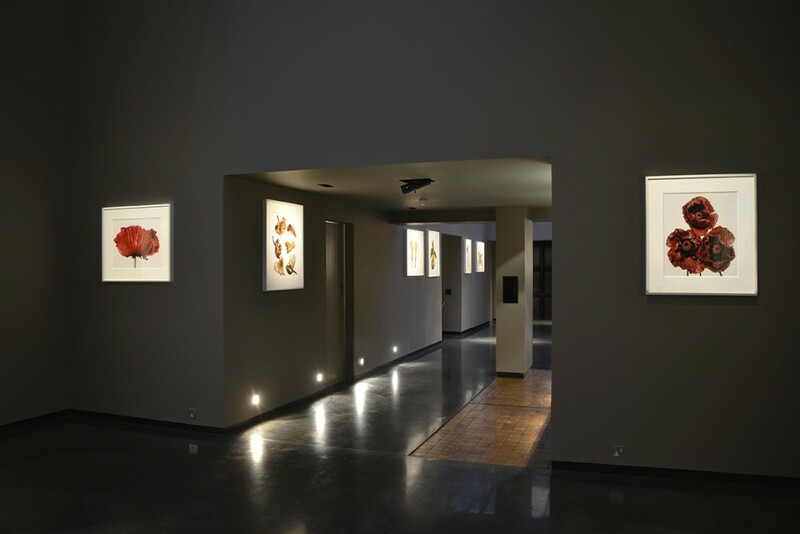 As with Hamiltons’ previous Penn exhibitions, Cigarettes (2012) and Cranium Architecture (2013), this exhibition of Flowers was the first time this whole series of pictures has been shown together. 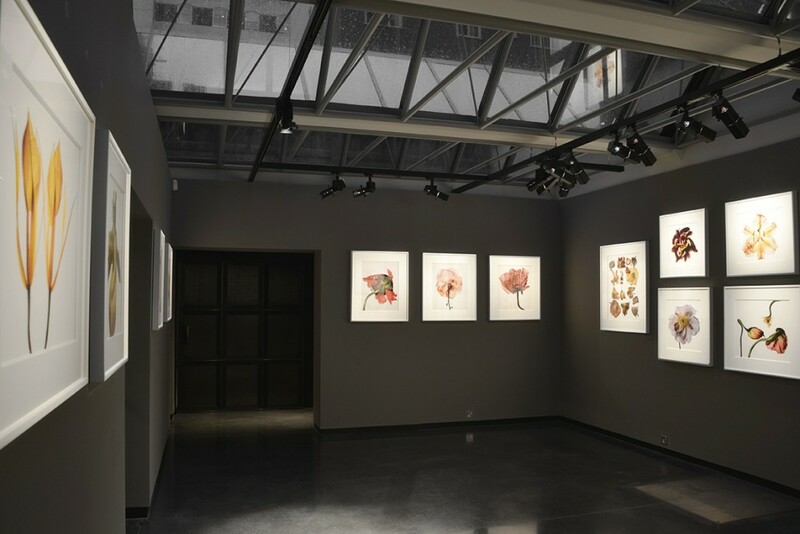 As the exclusive UK representative for Mr. Penn’s pictures for over a quarter-century, Hamiltons had the unique privilege of being able to represent the complete Flowers series of 42 print editions, accompanied by a fully illustrated, hardbound catalogue raisonné, published by Hamiltons Gallery in collaboration with The Irving Penn Foundation. Irving Penn was born on June 16, 1917 in Plainfield, New Jersey. He studied at the Philadelphia Museum School of Industrial Art, under the tutelage of Alexey Brodovitch, who would later become famous for his work at Harper’s Bazaar, and one of the most influential editors of his era. In the late 1930’s Penn worked as Art Director of the department store Saks Fifth Avenue, then spent a year painting in Mexico, before joining the staff of Vogue in 1943 where, on the suggestion of its Art Director, Alexander Liberman, he started working as a photographer. This proved a turning point in his career, with Penn photographing his first cover for Vogue magazine in 1943. 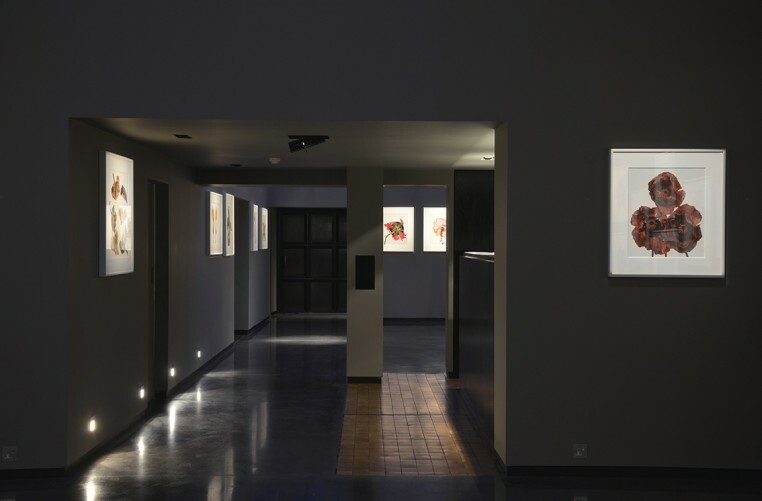 He continued to work at the magazine throughout his life, photographing covers, portraits, still lifes, fashion, and photographic essays. Penn’s approach to the still life evolved over decades; from the 1930s onwards, he arranged everyday objects to create assemblages, which transcended their origins and original purpose to become conceptual works of art. His apparently simplistic compositions are void of sentimentality and focus on the detail, form and wonder of each specimen. In his Flowers series, Penn presents us with an exceptional vision of forms, tones and patterns, entwining the beauty of nature with his photographic genius. Photographing each flower slightly differently and with meticulous attention to detail, each of Penn’s flower portraits are captured in his signature minimal and elegant style, against a plain background (Penn was one of the first fashion photographers to photograph his subjects against a plain backdrop). 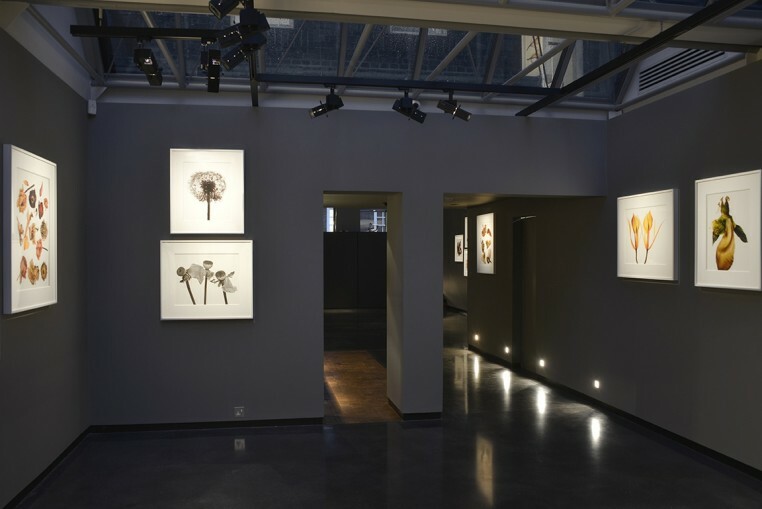 Penn’s aesthetic approach to his botanic work is similar to that of his fashion photography; the flower portraits are intensely beautiful and likewise surprising, rife with unusual angles and unexpected focal points, providing the viewer a rare vision of the patterns, colours and forms of the flowers. In contrast to his fashion work, Penn had an interest in the temporal nature of life and would often record the impending prospect of death. This subject is evident in Cranium Architecture, Archaeology, and also in Flowers. 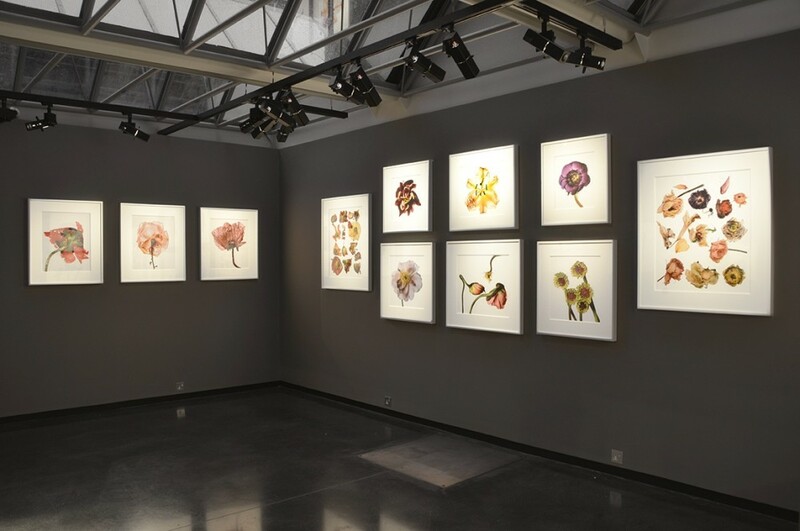 As Penn documents the beauty and patterns within the flowers, and draws attention to the reproductive elements within, he is also viewing them as they slowly break down and wilt. Often Penn deliberately chose flowers that "have passed the point of perfection, when they have already begun spotting and browning and twisting on their way back to the earth." 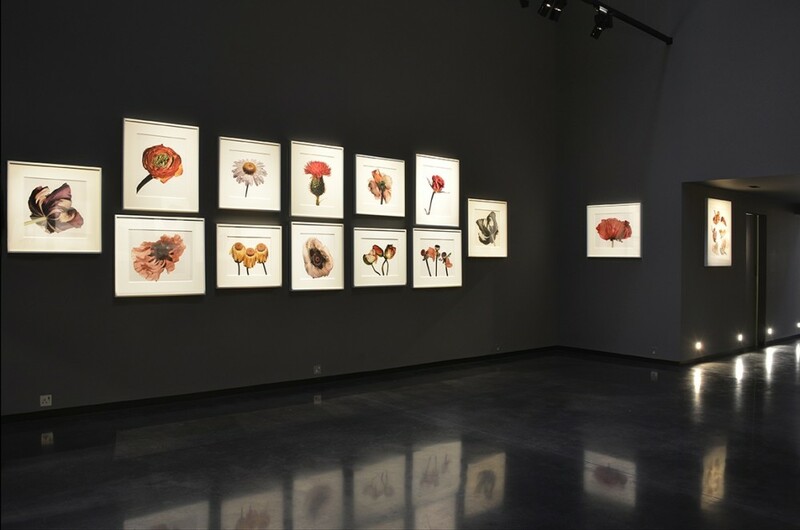 Thus, Penn chose to focus on moments of unlikely beauty, revealing the mortality of flowers, whilst also celebrating the sensual beauty of each specimen. Widely recognised as one of the world’s most important photographers, in the 1950s Penn founded his own studio in New York and continued to develop his fashion, commercial and personal work for the rest of his life, exhibiting internationally throughout the later decades of his career and publishing over 25 books including Moments Preserved (1960); Worlds in a Small Room (1974); Passage (1991); and A Notebook at Random (2004). Penn died in 2009; his work is still widely exhibited around the world, and is held in major permanent collections including the Metropolitan Museum of Art, New York; Museum of Modern Art, New York; J. Paul Getty Museum, Los Angeles; Art Institute of Chicago; J. P. Morgan Library, New York; National Gallery of Art, Washington, D.C.; National Portrait Gallery, London; the Moderna Museet, Stockholm; and Smithsonian American Art Museum, Washington, D.C., amongst others. 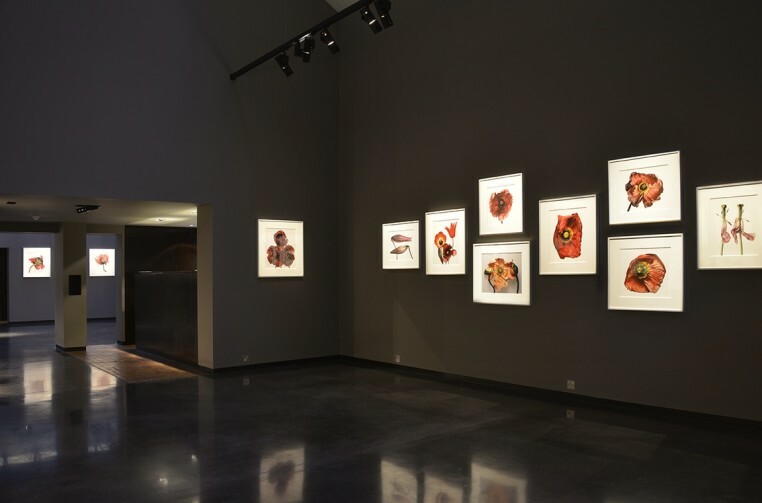 In 2013 The Irving Penn Foundation donated 100 photographs to the Smithsonian American Art Museum, bringing the number of works in their collection to 161. Mr. Penn’s major museum retrospective, Irving Penn: Beyond Beauty, opened at the Smithsonian American Art Museum, 23rd October 2015 – 20th March 2016. The Metropolitan Museum of Art presented a major retrospective exhibition of Penn’s photographs, which opened in April 2017, to mark the centennial of the artist’s birth. The Irving Penn Foundation made a monumental gift to the museum of more than 150 photographs, representing every period of Penn’s dynamic 70 year career, which will be central to the exhibition.